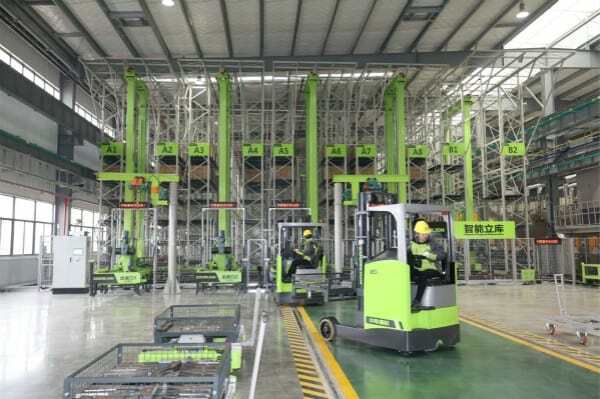 China-based construction machinery manufacturer Zoomlion Heavy Industry Science & Technology has opened an intelligent factory for tower cranes in Changde, China. The facility, which took three years to construct, reportedly has 12 automatic production lines, over 10,000 sensors, 100 industrial robots, 35 unmanned RGV and AVGs as well as 16 sets of CNC machining centers. The company said it has invested CNY 780 million (US$115.4 million) in building the factory, hoping to lead in the global construction hosting machinery sector. Zoomlion's tower crane business achieved US$739.7 million total output in 2018 and the new factory will enable it o reach its goal of US$1.48 billion in 2019, it disclosed in a media release. Currently the no.1 tower crane brand in China, Zoomline also owns the largest share of the tower crane market worldwide. Founded in 1992, the high-end equipment manufacturing enterprise currently sells nearly 800 cutting-edge products from 49 product lines covering nine major categories. It is also China's first construction machinery company to be listed on both the Shenzhen and Hong Kong stock exchanges. In December 2018, a subsidiary of Zoomlion, ZValley Industrial Internet Company, has launched ZValley OS, platform for industrial Internet of Things (loT), which enables traditional companies and organizations, especially in manufacturing, agriculture, smart city, and industrial fin-tech areas to harness the power of emerging digital technologies. The platform provides industrial internet services, including equipment connection, big data analysis, service apps and more to manufacturers, government regulators, financial institutions, users and maintenance service providers. To date, the company said it has connected more than 200,000 equipment assets and gathered over 9,000 kinds of real-time data. Wang Xiaodong, CEO of ZValley, said at the press conference during the launch of ZValley that it will focus on four extension fields – industrial internet, smart city, smart agriculture and industrial finance.